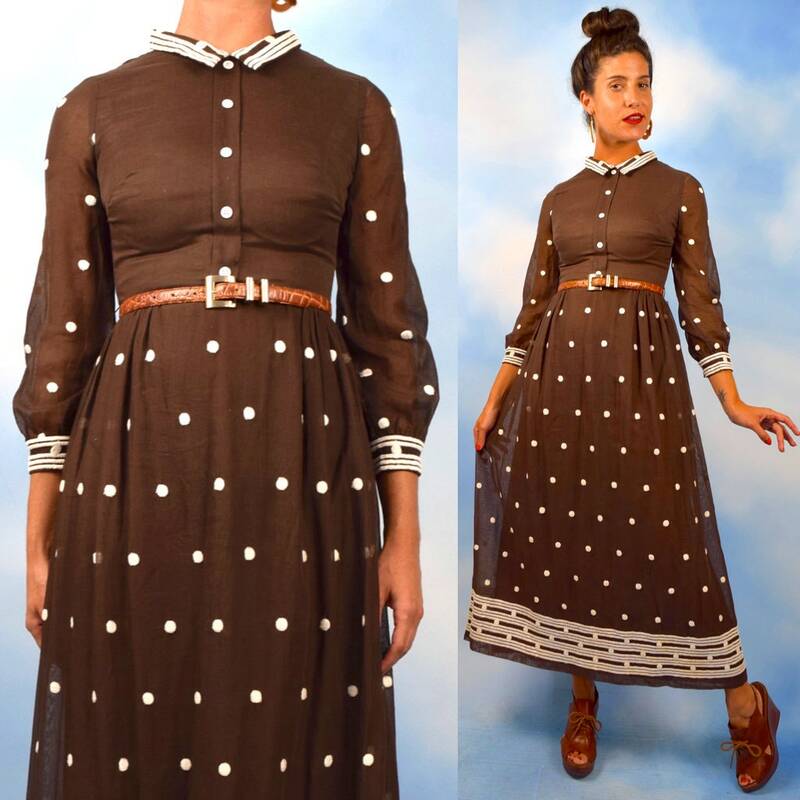 Darling chocolate brown embroidered polka dot maxi dress. 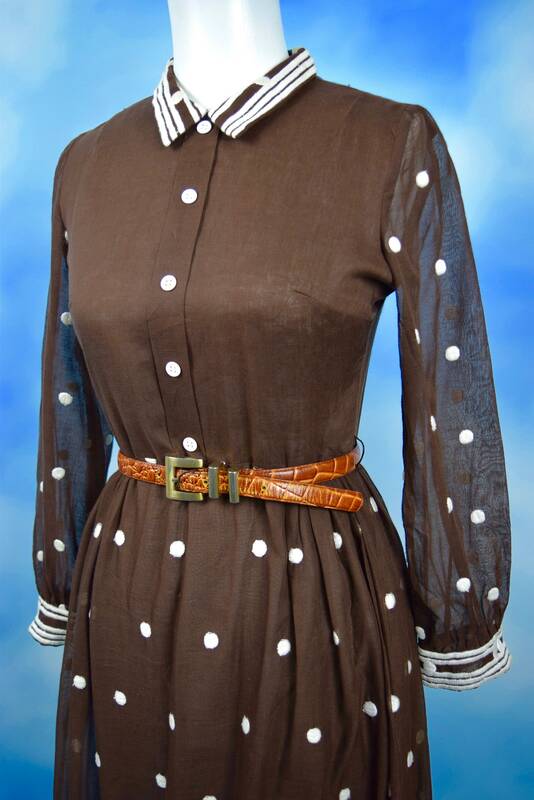 Faux button up bodice. Fully lined except for the sleeves in coordinating voile. Zips up the back.